To imagine that Leeds was just a small manorial district in the 13th century is a little mind-boggling. After all, today, it is the 4th most populous area in West Yorkshire having 2.6 million people. It is home to some attractive and last-standing tourist sights such as the Abbey House and Museum, the Wakefield and the National Coal Mining Museum, the Leeds Corn Exchange, which is one of the finest Victorian-era buildings in England, and last but not the least, the Headrow and Briggate that offers the city’s premier shopping experience. 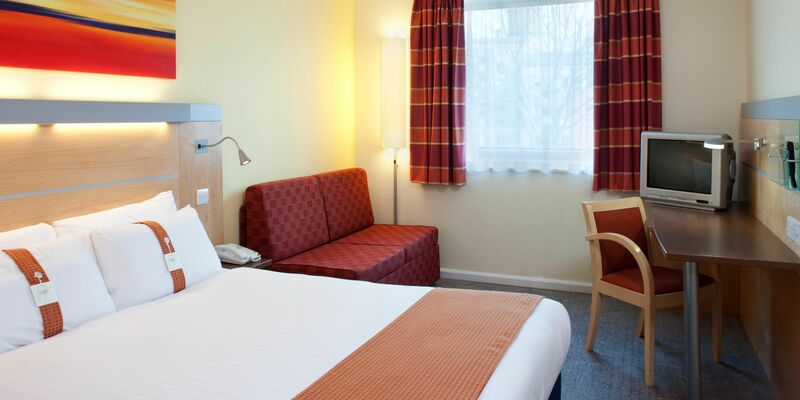 To check out best places to stay in Leeds and more, you need to stay at a hotel that’s in close proximity to all the tourist attractions. This can be very expensive, especially when you are traveling with family. So why spend thousands of pounds for two hotel rooms when you can get a home away from home? We are talking about one bedroom serviced apartments that offer much more amenities and facilities than a hotel room. You can also go for two bedroom and studio, depending on how many people are vacationing with you. As compared to a standard hotel room, a one bedroom serviced apartment offers 30% more space. Plus, there’s enough room to place your belongings and still have space to roam freely. You can expect to pay at least 20% less as compared to the price of a hotel room. You won’t be hit with extra charges for room service, mini-bars, and other facilities. Here’s something you might have not known: if your stay is longer than 28 nights, then VAT charges will drop to 4%. You can find Gateway Serviced Apartments at the best places in city Centre in Leeds. They are near tourist attractions so you don’t have to worry about walking too far to explore the surroundings. The place is big enough for you to invite your guests and hold a small get-together. There are numerous facilities and amenities available such as swimming pool, gym, and even a business center if you like to mix work with pleasure. Want to cook a meal instead of eating outside during your entire vacation? Then take advantage of the kitchen and cook your special meal. There is even a laundry service, which you can get someone to do for you at a small price. The Civic Quarter is the hub of Leeds with a pedestrian area called City Square. This place is known for its numerous statues such as the figure of the Black Prince James Watt. Visit the Joseph Priestley Church and the holy ground of Town Hall dating back to the Queen Victoria era. Are you ready for some adventure? Then visit the Royal Armories Museum that holds more than 8,500 impressive objects displayed in various galleries. This museum has the largest collection of national arms and armor in Britain. In fact, the weaponry in this museum is around 3,000 years old such as the medieval jousting tournament blades, Henry VIII’s full-body armor, armor from Asia and Africa, and even a collection of swords and weapons used in The Lord of the Rings movie series. Feast your eyes on the beautiful floral sight offered by the Harrogate spa town. The RHS Garden Harlow Carr is the most popular attraction in this town. It even has a gardening museum, antique shops, and elegant boutiques. Lastly, the year-round Harrogate International Festival featuring drama performances and opera is a treat for culture lovers. In fact, this event is considered to be one of the best festivals in Europe. And that is why Gateway serviced apartment is a better place to stay in Leeds than a hotel!